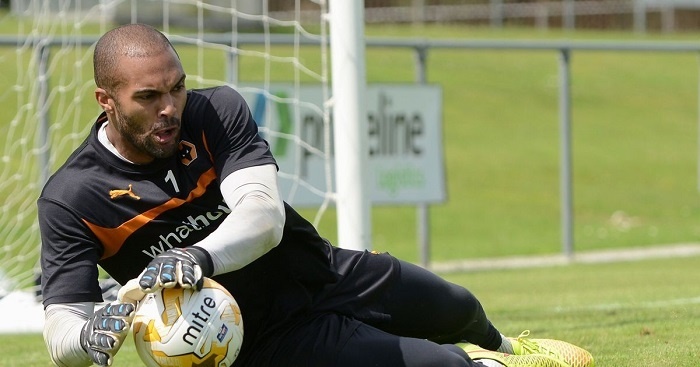 English Championship club Wolverhampton Wanderers have confirmed that Super Eagles goalkeeper Carl Ikeme will retain his No.1 jersey for the 2017/2018 season despite his battles against chronic leaukamia. “Wolves can confirm that Carl Ikeme will remain listed as the club’s number one for the 2017/18 season,” the club said in a statement on their official website. “Following the devastating news, Wolves are today announcing a number of initiatives the club is running at the first game of the season to show our support for Carl and to raise money for the well-known Birmingham-based charity Cure Leukaemia. “With a bumper crowd expected for the Wolves v Middlesbrough match we are committing to donate 10% of gate receipts to Cure Leukaemia for all home match tickets purchased for this game. The charity will also be located around the ground doing a bucket collection to raise more money. “The 2017/18 Goalkeeper kits are now on sale in the Molineux Megastore and online at wolvesmegastore.co.uk . If you have “Ikeme 1” printed on the back of any replica shirt this season we’ll donate all profits from the printing to Cure Leukaemia also. The club strongly believes the Super Eagles first choice goalie will muster enough will power to win the fight and stay alive.